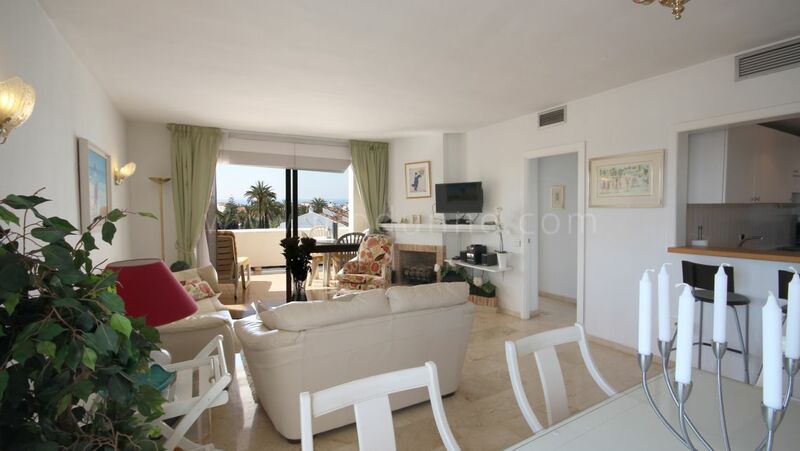 The highly sought-after area of Nueva Andalucía perfectly embodies the thriving Property market in Marbella. 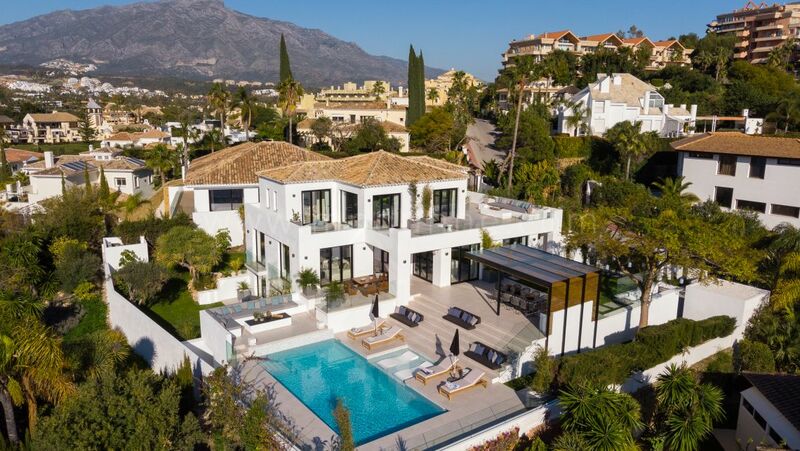 Stretching from the upmarket marina of Puerto Banús to the country club estates set on the lower slopes of the mountains behind Marbella, it is proving to be one of the most popular parts of the town. Properties in Nueva Andalucia sell quickly in a market that is particularly attractive to Scandinavian buyers, as well as British, Irish and other European home seekers. The location is perfect for those wanting a haven set apart from the busiest tourist areas but still within easy reach of all the fine-dining restaurants, designer-shopping opportunities, beaches, luxury leisure facilities and vibrant nightlife of Puerto Banús, Marbella’s Golden Mile and the charming Old Town. 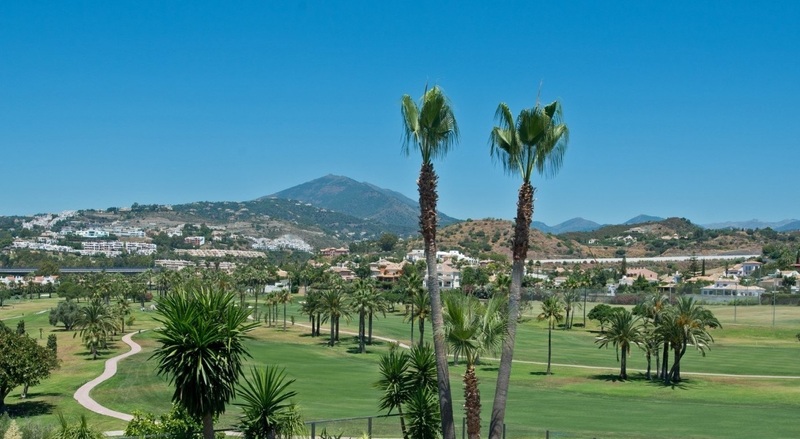 Nueva Andalucía is a well thought out and attractive area just west of Marbella where, as its name suggests, the villas and apartments were built in traditional Andalusian architecture and design. Nowadays the newer properties tend towards the modern contemporary and follow modern trends in terms of design. As one of the first parts of Marbella to attract the attention of overseas buyers back in the 1970s, there are also good investment opportunities available for those looking for older properties as refurbishment projects. Heading inland from Puerto Banús, the bullring marks the entrance to Nueva Andalucía, where the road climbs towards the mountains affording magnificent views of the coast. Sports enthusiasts can find plenty on offer here with tennis, paddle tennis and a gymnasium. For golfers, in particular, the area is hard to better. There are several magnificent courses within the district, including the ‘big three’ of Las Brisas, Los Naranjos and Aloha Golf, as well as La Dama de Noche, which is floodlit for night time play, the par three Magna Marbella and the country club setting of La Quinta. The mountains of Marbella provide a stunning backdrop to the leafy suburb, which manages to retain something of a rural air about it, but with all the advantages of town life at the same time. Indeed, there is no need to take the short trip to Marbella or Puerto Banús as Nueva Andalucía is fast becoming known for its international cuisine, as well as being home to an ever-growing number of shopping options. The strip of road leading from the Open Cor supermarket to the Aloha roundabout has in recent years seen a large variety of restaurants offering a selection of cuisines from around the world open. Whether you fancy Thai fusion, Indian, Italian, Spanish or International dishes, there is an option available for you. There are also many bars—ranging from traditional to smart cocktail venues—to meet up in, while one of the most popular commercial centres in Marbella is in Nueva Andalucía. Centro Plaza houses quality shops, restaurants, bars and offices, as well as a supermarket, gymnasium and beauty parlour. In other words, this thriving commercial centre has everything that the consumer might want—from taking care of the weekly shop to buying unusual gifts, including carpets, antiques, luxury toiletries and, not surprisingly perhaps, everything you may need for the golfer in the family. In addition, an excellent street market (rastro) is held next to the bullring every Saturday morning. Aside from recreational, sport and commercial facilities, Nueva Andalucía has several schools, including the international Aloha College. It is also home to one of the Costa del Sol’s two casinos, which boasts a vast gaming room as well as various other facilities. 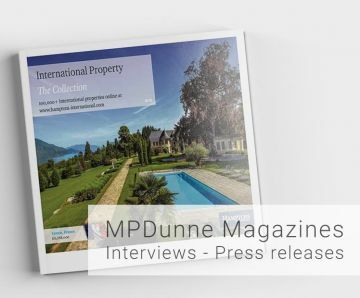 MPDunne Hamptons International has a great selection of villas, townhouses and apartments for sale in Nueva Andalucía—please contact us for more details.